I love having a visual gimmick to help me remember to do something, in this case it's saving money. Recently I made two "piggy banks" out of former boysenberry jam jars and they are now living in my apartment helping me save-away my spare cash. What I did first was cleaned out the empty jars and ran them through the dishwasher. Then I cut a slot in the lid with a box cutter. I made my own lables out of printer paper, cardstock, markers, and puffy paint. Then I glued them onto the outside of the jars. I glued the lid shut on the first jar only. 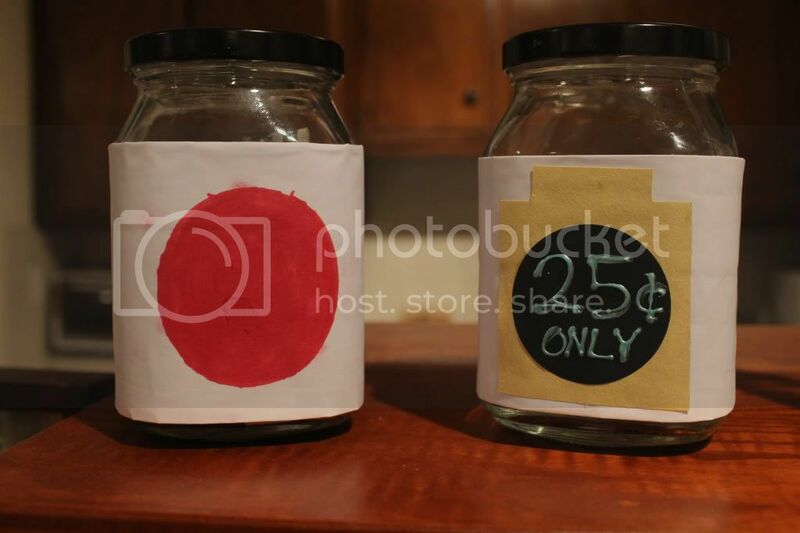 That jar, the one on the left, I designed to look like the Japanese flag and periodically Jim and I toss in a few spare bucks. We want to visit my sister who is working in Japan this year for 14 months. The jar is mostly a reminder to save up for that possible trip. (What we'll end up saving in the jar won't be our entire trip fee, obviously.) The second jar on the right is for any spare quarters we have laying around. The laundry system at our apartment takes quarters only but there is no change machine in the laundry room. So you really need to constantly save up your quarters. Making these save-away jars was super easy. Just be careful when cutting the slot in the lid, the cut metal is very sharp. I made sure to bend in inwards so there were no sharp edges exposed. 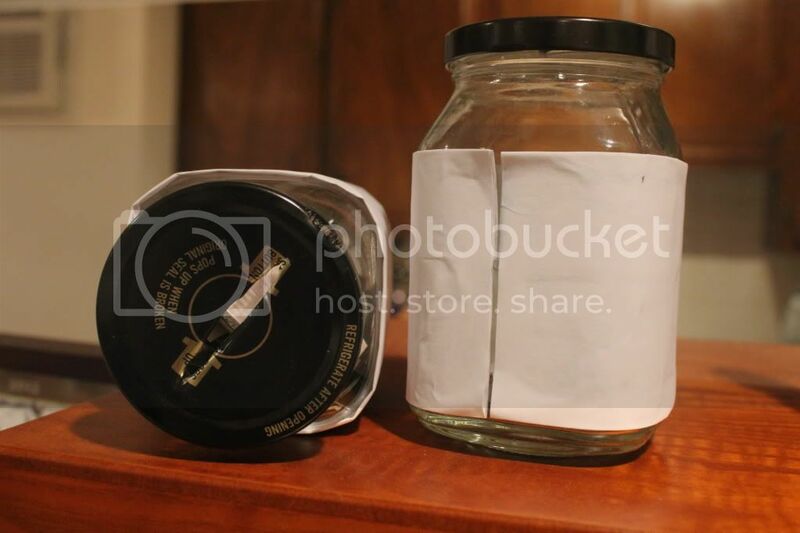 What would you use your save-away jar for if you made one?